On his second visit (I must have missed the first, surely not forgotten it), Jonathon Nott conducted a very fine concert of the, at first glance, unusual pairing of Poulenc's Organ Concerto and Mahler's 7th. 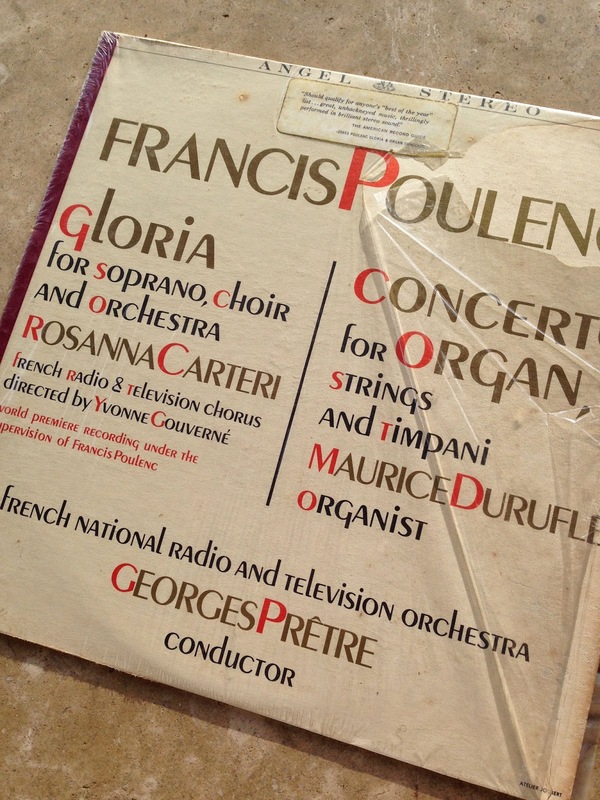 I've been mad about the Poulenc since this early 60's release which I bought for the fabulous Gloria with the fabulous Rosanna Carteri. The Organ Concerto is for organ, strings and tympani and there's only one winner here, and it's not the strings. It's very French, and very organ-y and the rarely heard Opera House organ was at full throttle, as already noted. The Mahler 7 needs, like most things Mahler, to be nudging excellence to work; nearly just doesn't cut it and risks Mahler Soup. It is long and demands attention and audience commitment till it finally plows to a halt in a cow paddock. They played brilliantly and all credit to the elegant Mr Nott whose attention to detail, while never at the expense of the big picture, was exemplary. Now, only for the story telling, it happened that just as silence fell over the hall as the baton was raised at the start of the Poulenc, a muffled something, like a child talking (which I think was the case), came from the circle. TURN THAT PHONE OFF came a call in an English accent I thought and then I thought: oh, that was Mr Nott. Although K assures me he thought it was some other patron also in the circle. Whatever happened thereafter, the organ took care of. A second reminder to turn of phones came after interval. I don't think I've ever heard a mobile go off during a SSO concert. It is generally a good audience. That said, it is a tourist venue, and there are considerable attendees who are there for the building as much as the music, especially in summer. Anyway, all was quiet, not a sound in the house, not even a mouse, till the end of the first movement. Thankfully no clapping (which Mr Robertson seems to encourage) but there was the sound of hurried footsteps as (and I turned to have a sticky) someone literally ran to the door. Bravo them for holding on, thought I. There was a sense of tension in the house. But still still as a mouse, till the end of the third, whence came the unbelievable clatter of high heels, a phalanx by the sound, echoing through the stillness. I turned to see two young women making their way down from rear circle to better seats in one of the side boxes, at the same time as Mr Nott turned and if looks could kill, then these girls were toast. It must be hard, and stressful on the performers, although I reiterate, this (Friday) audience was immaculately behaved during performance, and if people have needs, and wait till breaks, then who's to criticise. Lately, the rear seats / choir stalls have been completely empty, presumably either unsold or reallocated. Some conductors find patrons there can be distracting, without or with coughing. Anyway, all that nonsense aside, now that Mr Nott is music director of Tokyo Symphony Orchestra and Tokyo really isn't that far away, and -2 time zone, might we be so lucky. But of course if you go to Bamberg, rather further, you do get one of the world's most beautiful cities, and absolutely Germany's No. 1. The message hasn't reached the UK, unfortunately. Apparently the orchestra was welcoming a group of Australians last week, no idea why. Nott will NEVER disappoint in Mahler (the Eighth on CD was only let down by some of his soloists - problem is that you need the best Wagnerian singers in the world). 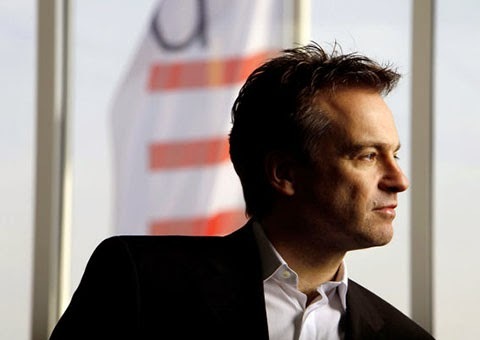 The connection might be Wolfgang Fink who was director of Artistic Operations at the Sydney Symphony Orchestra and was Intendant of Bamberg Symphony Orchestra, though no longer.